Absent from the cabaret scene for many years, Scott Burkell scored solidly in his show at Dont Tell Mama recently. 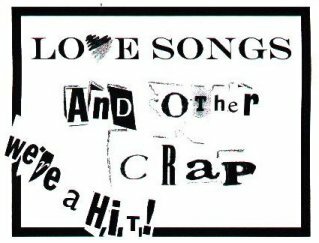 Called "Love Songs and Other Crap," this was an evening of songs written by Burkell and Paul Loesel, who also contributed very fine piano accompaniment. While the songs varied in quality, most of them were very good, several were excellent, and most significant, all of them held our interest as they took us on their various journeys. The many comic numbers were droll and amusing, but the serious songs were more noteworthy - among them "All I have," which recalls rapturous moments, and an image rich dramatic art song about stolen happiness in a hotel room with someone elses mate. As a performer, Burkell was a charmer; his account of going to a Sadie Hawkins dance as a lad in his hometown in Michigan was funny and sweet at the same time, and a routine in which he acted a scene opposite a June Havoc recording was a hoot. Burkell and Loesel are fresh, welcome talents; may we see more of them. There has been something extraordinary going on at Dont Tell Mama: the discovery of the strikingly talented composing and performing duo of Scott Burkell and Paul Loesel. In a show of all original songs (save one), they have wowed audiences - and these critics - with tunes that feature both catchy melodies and witty lyrics. From the clever "Obligatory Opening Number" that comically captures everything a singer hopes to include at the top of his or her show, the act moves on with songs both serious and silly, including hilarious tunes about the theater ("Actors Pet Peeves"), obsessive love affairs ("Stalker") and romances that go south ("Hey, Lets Be Friends"). As creators, Loesel writes the music, Burkell writes the lyrics. As performers Loesel plays the piano and Burkell, and actor/singer with a winning personality and a strong, rangy voice, delivers the tunes with panache. There is a body of work developing here that deserves ardent attention. Right now Burkell and Loesel are singing their own songs, and singing them extremely well. Soon we suspect, others will also be singing their songs. The sooner the better. Scott Burkell: Scott Burkell is currently on Broadway in "Titanic." At 9 p.m. Monday - the musicals off night - youll find Burkell at Dont Tell Mama, singing in a clear, true voice songs of varying worth that he has written with Paul Loesel. My favorite moments include an enormously smart, bright opener, and a more serious evocation of a fling with a married man. Although occasionally too facile, Burkells act, at its best, feels fresh and buoyant. When Burkell first played Dont Tell Mama in the 80s, his then equally "unknown" partners were Marin Mazzie, who went on to star in "Ragtime," and Jonathan Larson, who went on to write "Rent." At the same time, too, I recall, future Broadway star Faith Prince was another "unknown" working at Dont TellMama, directed by future Broadway pro Susan Stroman. Keep such success stories in mind every time I recommend some famous not-yet-famous up-and-comer Ive encountered around town like Jarrod Cafaro, Natalie Gamsu, Julian Brightman, Diedre Henry, Mark Myars or Ellen Bennett; theyve got qualities worth checking out. 343 W. 46th St.: (212) 757-0788.